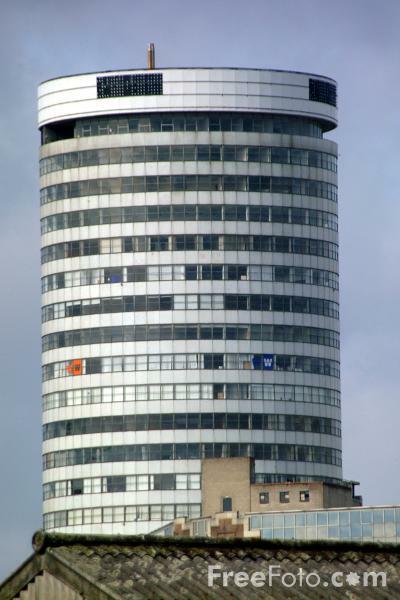 Photographs of The Rotunda and The Bull Ring, Birmingham. In the 1960's, when it was originally built, the Birmingham Bull Ring was hailed as a triumph of modern architecture. In recent years Birmingham Council has decided to re-develop the Bull Ring, to bring it more in line with today's rejuvenated city, so the next few years will see the start of a new era in the Bull Ring. VIEW: More images from the category The Bull Ring, Birmingham or around the same time .